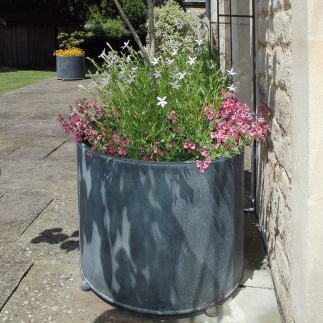 We only make products from steel which are hot dip zinc galvanized to BS EN ISO1461 to form a corrosion resistant finish that won’t need treating every two years like timber. Timber trellis, porches or garden planters need constant maintenance to prevent rotting and should be sourced from a sustainable, reputable supplier. In 15 years of trading, we’ve not received a single complaint about rusting through natural weathering.